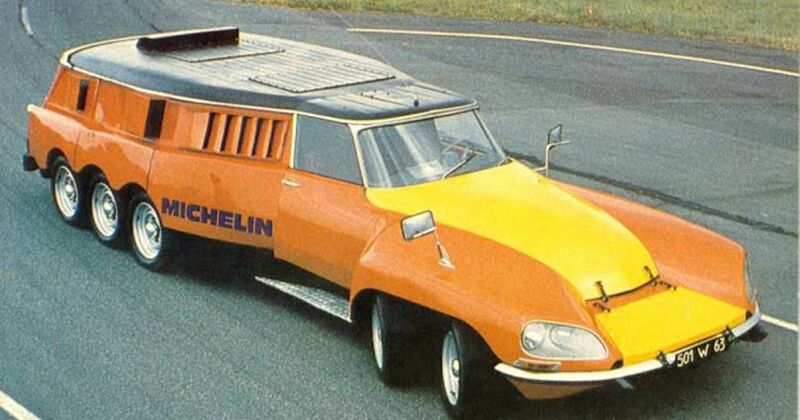 In 1972, Michelin needed a way of testing its truck tyres at high speed, but was worried about the danger involved with big-rig blowouts. 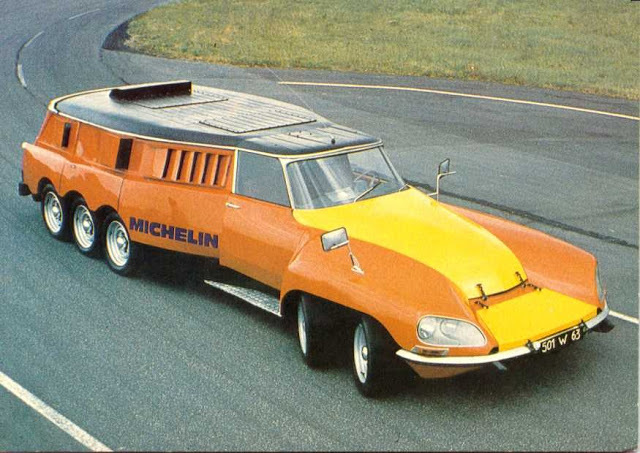 The answer was this massively modified Citroen DS. Its official name is the Poids Lourd Rapide, which loosely translates as the 'fast truck,' but the French nicknamed it 'milles-pattes' - 'centipede'. 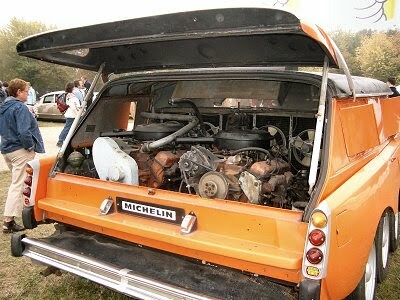 Michelin owned Citroen at the time, so they raided the parts bin to create the PLR. 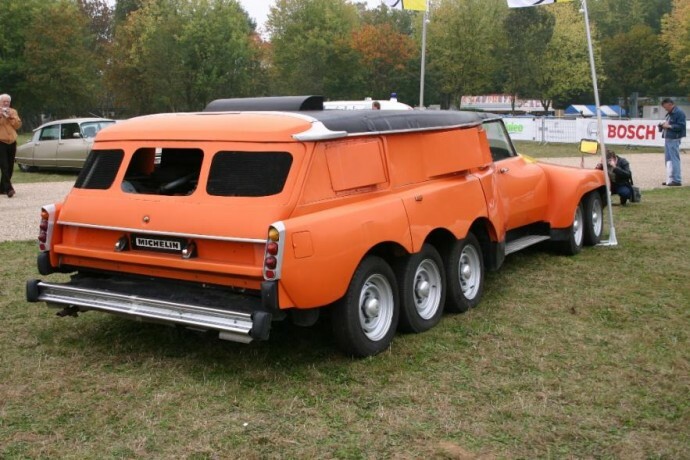 Most of the bodywork was stolen from a DS Safari, while the wheels and hubs came from an H van. Naturally, with so many wheels on the ground, a lot of power was needed. This came in the form of two 5.7-litre Chevrolet V8s. One of these engines powered the rear six wheels, while the other powered the mid-mounted truck wheel that was fitted with a test tyre. The front four wheels were responsible for steering. 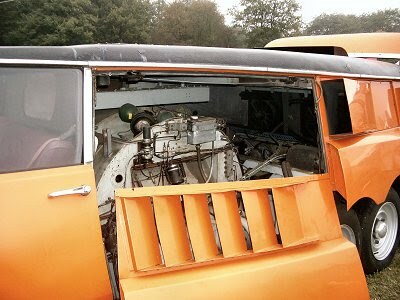 The PLR's top speed was 111mph, which isn't bad considering it weighed an incredible ten tonnes.